Hara Kolaiti A.K.A. Anna Goula is a performance and general artist. If she is not performing on stage you can find her creating sets and costumes, directing, or composing her own music. Anna’s photographic contribution to Civil Disobedience comes in the form of the poster for the drag poetry event. 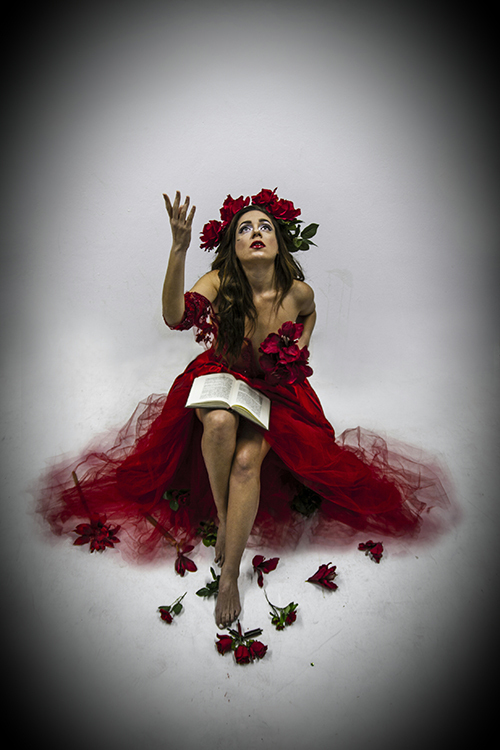 The photo is inspired by renaissance paintings and this year’s theme is the colour red for passion.